Waterfall Info: This powerful waterfall is on the Chattahoochee River. 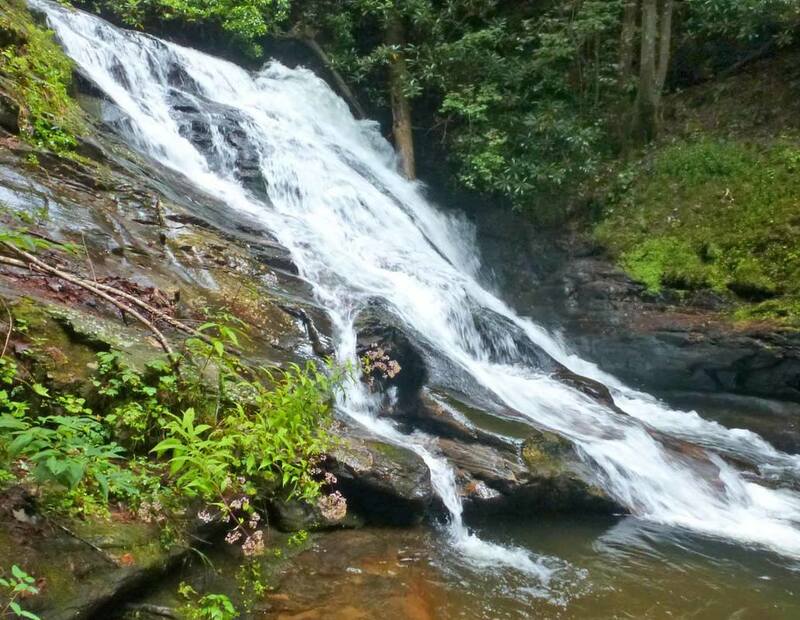 It's located well below the frequently-visited waterfalls near the Upper Chattahoochee River Campground. Access Info: This waterfall is accessed by an extremely difficult bushwhack from Chattahoochee River Road (FS 44) down Vandiver Branch and downstream along the Chattahoochee River. Dangerous scrambling is necessary to reach the base of Echo Falls.